Following up on yesterday’s article, today’s Southwest Hawaii test flight has been a success. 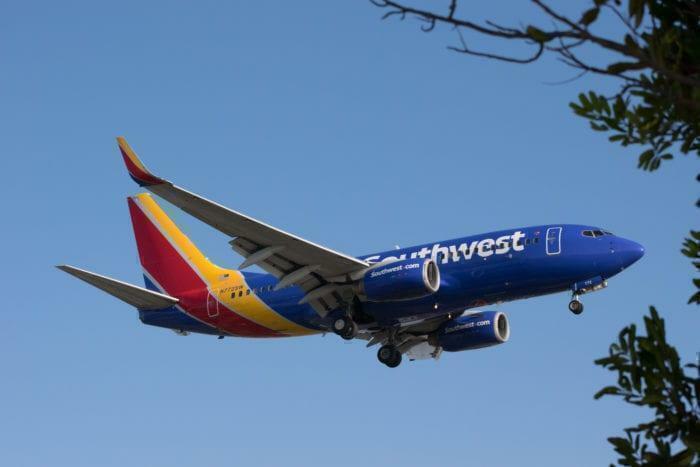 Southwest had to prove to the FAA that they could successfully fly a Boeing 737 to Hawaii from Oakland, California, in order to get their ETOPS certificate. Leaving late morning from Metropolitan Oakland Airport (OAK), Southwest flight SWA8725, a Boeing 737-800, turned southwest to head towards Honolulu International Aiport, Hawaii. The plane had previously been flown in from Dallas on Monday in preparation for this flight. On board were two Southwest flight crew members and FAA inspectors to watch them perform. They are looking at navigation, communication, aircraft performance, and crew training. 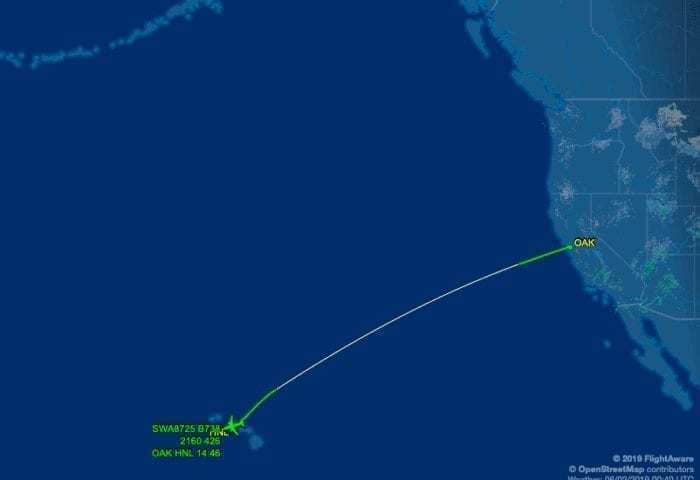 The plane then successfully landed in Hawaii at 14:52 local time. Whilst no official statement has yet been released from Southwest, the fact that the jet has successfully arrived at its destination with no apparent complications speaks volumes. What is next for Southwest? Before tickets can go on sale, there are a number of other ETOPS certifications that Southwest will need to fulfill. From here, the airline will need to submit further paperwork, and prove with test flights that they can fly from their other three Californian destinations; San Jose, San Diago, and Sacramento. Tickets are expected to go on sale in the next few weeks, with possible flights taking off to the sunny shores of Hawaii in late March or early April. Other carriers are expected to enter a price war with the carrier, dropping the fares across the Pacific in a massive win for consumers. What will service be like on board? As with the testing aircraft, Southwest will use a Boeing 737-800 for their four initial Hawaiian routes. These planes will seat 175 passengers in a 3 by 3 configuration. The entire cabin will be economy throughout, with 33 inches of pitch and 17 inches wide seats. Whilst passengers can expect two free bags per ticket (a benefit of flying Southwest over other carriers that charge $30 per bag) they can also expect to be able to buy food on board. Naturally, the Southwest 737 galleys are a bit smaller than their competitors so it remains to be seen what they will offer on the 5-hour journey. Southwest has been reached for comment. What do you think, are you ready to fly to Hawaii on Southwest?